All Things Firearms LLC – "Very Respectful and very helpful Always helped me with my shooting and also helped me get a permit for my handgun/firearm very professional with what he does … And also helped get a handgun qualification license it's like my best friend always there for me ..!" "Very Respectful and very helpful Always helped me with my shooting and also helped me get a permit for my handgun/firearm very professional with what he does … And also helped get a handgun qualification license it's like my best friend always there for me ..!" 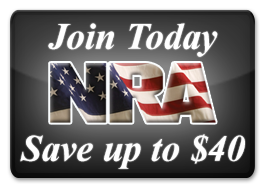 Click here for your discounted membership today!